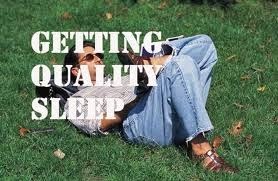 Sleep is the primary fat-burning time, especially when a person does not eat food before bed. Of course if you exercise you will burn more calories during and following exercise; but in terms of the ideal time of the day to simply burn more fat it is during sleep. Between meals during the day (assuming you do not snack) you will burn 60% glucose and 40% fatty acids. After 6 hours of not eating (such as during sleep) this ratio flips around and you begin to burn 60% fatty acids until you wake up, your prime fat-burning time if you have managed your daily eating patterns according to the Leptin Diet. Several new studies are showing that sleep quality and quantity are of the utmost importance for maintaining healthy metabolism. In one study with children ages 7 and under it was found that the risk for obesity goes up three fold if they get less than nine hours of sleep per night. A new study with adults found that the failure to get into deep sleep significantly impairs insulin function leading to an increased risk for type II diabetes. This means that the failure to enter deep sleep (which includes not sleeping enough hours – at least 7 for adults), causes your body to make too much sugar and not burn fat properly. Magnesium is the most lacking mineral in Americans and the most important natural relaxant that promotes restful and deep sleep. I recommend combining it with glycine (a relaxing amino acid) to help promote more restful sleep.